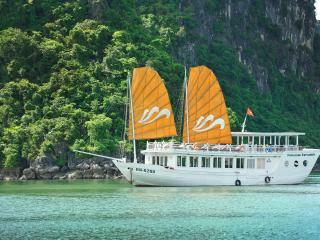 Paradise Explorer half and full day cruise options provide guests with a personalized excursion, taking in the sights of this World Heritage Region. 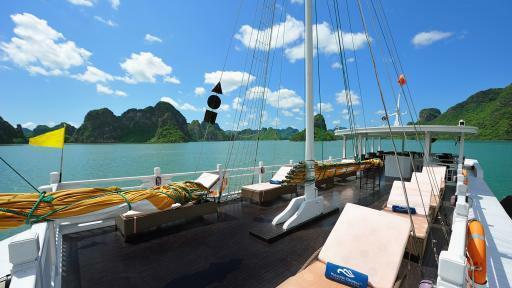 Your vessel has an upper deck enjoying 360 degree views of Halong Bay. 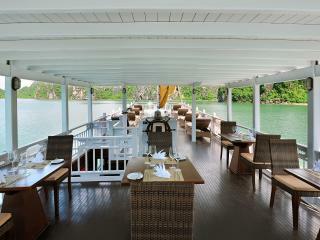 Laze in the sun on a reclining chair or choose to dine in the open air. 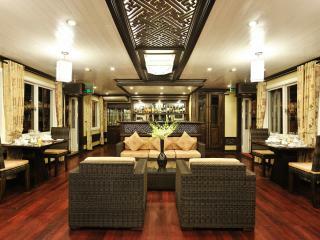 Undercover shaded areas are also provided. 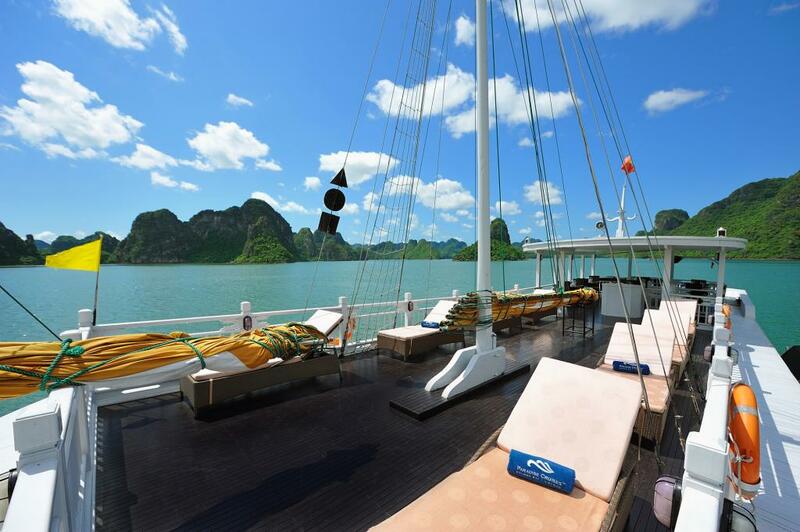 Relax on board the replica Vietnamese Junks as you cruise by islets, the white sandy crescent of Soi Sim Beach and Hoa Cuong fishing village. Learn about the locals way of life and some aquaculture techniques, at the local fishing market. 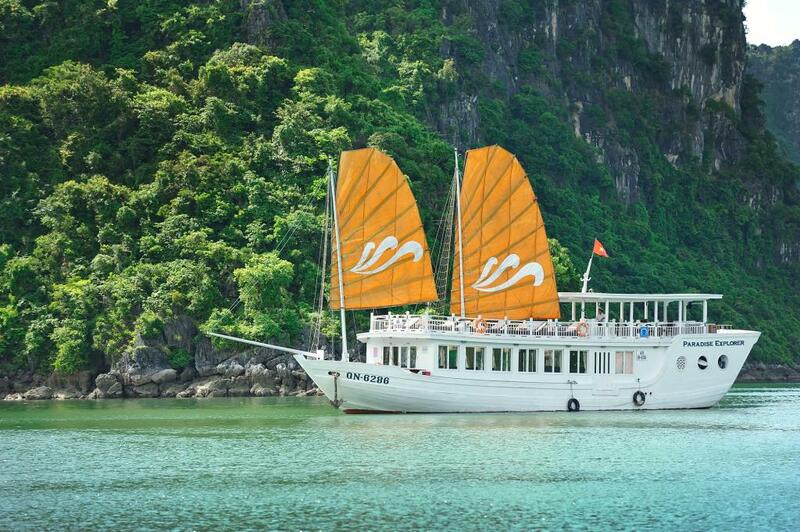 Explore some of the intriguing caves of Halong Bay. Me Cung Cave - intimate with stunning limestone formations and views, Trinh Nu Cave - used by as a home to local fishermen and a destination for young lovers as a place to for taking their oath of their love, Trong Cave - similar to Trinh Nu cave is legendary with stories of love flourishing and Luon Cave - this impressive geological formation is the entrance to an emerald green lake which is home to many types of ferns, wild golden monkeys and orchids. 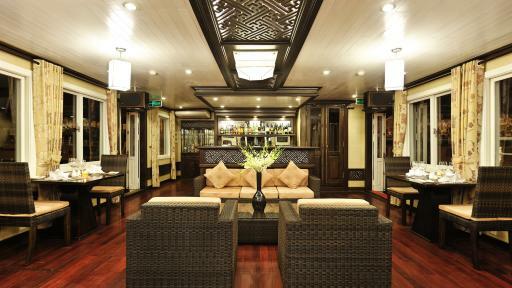 Before disembarking your cruise enjoy a traditional Vietnamese Tea and Coffee Demonstration. 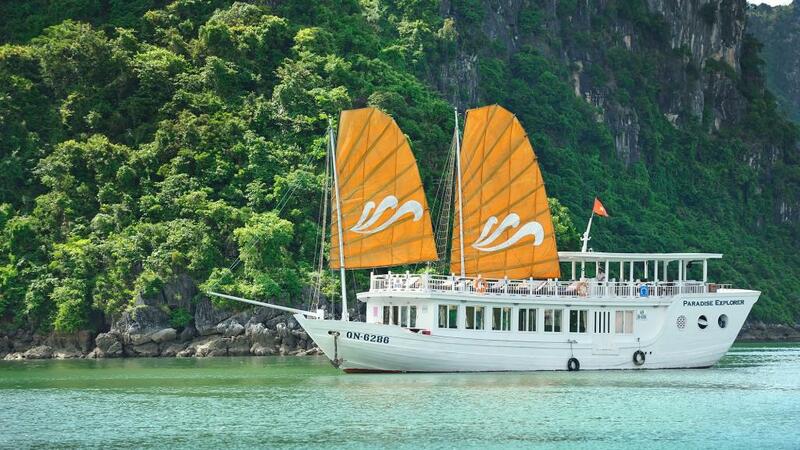 For visitors short of time in Vietnam, the day cruise option is an enjoyable, cost effective and luxurious way to enjoy Halong Bay. 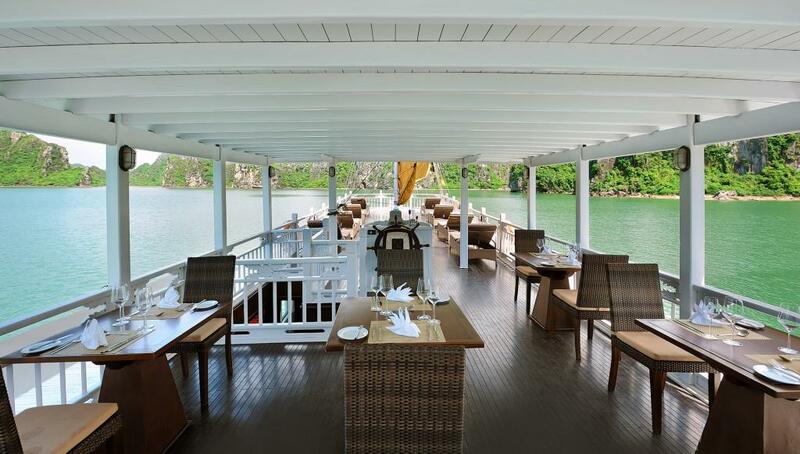 Paradise Explorer day cruise offers a selection of Vietnamese and International fused dishes in the buffet menu on both half and full day cruises. 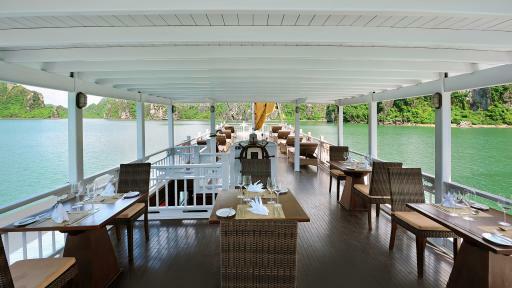 The dining room is located on the first deck and can comfortably sit 45 guests. 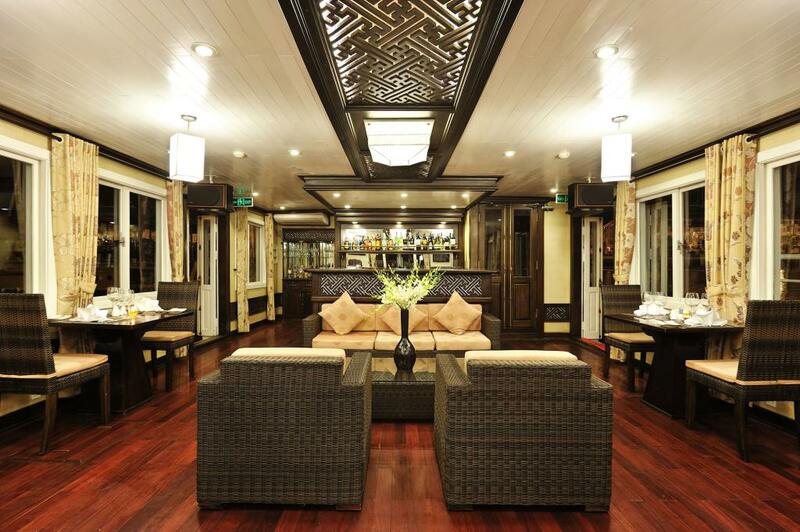 All cruises depart from a private pier on Tuan Chau Island. 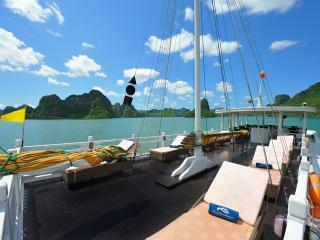 Tuan Chau is located south-west of Halong City and accessed from the mainland via a bridge.